Alright! 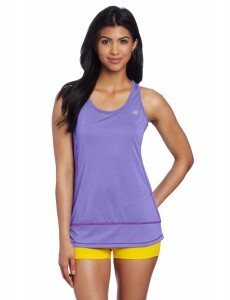 Head on over to Amazon.com where they are offering 40% off select New Balance women’s workout clothes including sports bras, shorts, tank tops, capris and more. Check out this cute New Balance Women’s Heather Tunic Top marked down to $18.00 (Regularly $30.00!) with FREE shipping on orders of $25 or more. I also spotted these New Balance Women’s Split Leg Capris for only $24.00 (Regularly $40.00!) with FREE shipping on orders of $25 or more. I am not sure how long these bargains will last, so if interested, I would not wait.